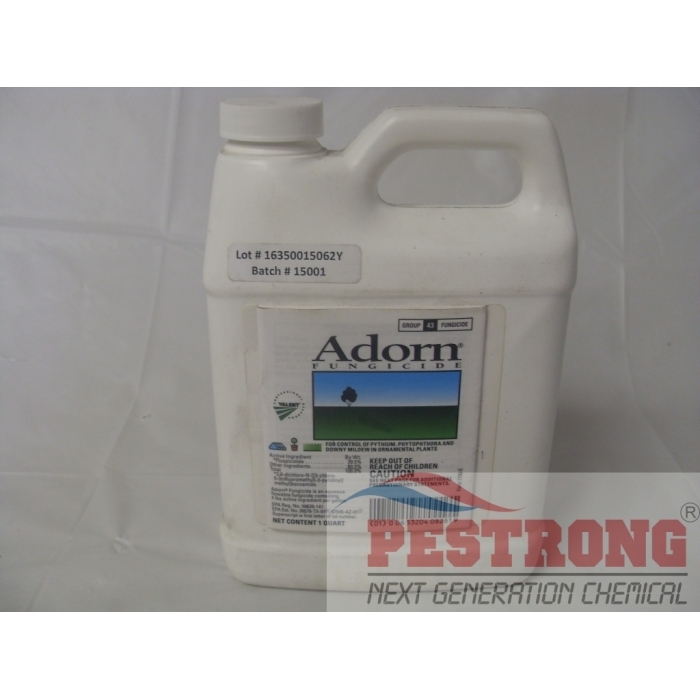 Where to Buy Adorn Fungicide, Adorn Systemic Fungicide - qt - $387.95 for Sale with Fast Free Shipping! Adorn Systemic Fungicide - qt is an excellent addition to fungicide rotations and plays a key role in resistance management programs. By buying this product & leave product review you can collect normally 38 reward points as a voucher of $3.80(1%). Fore 80WP Rainshield Mancozeb 80% Fungicide.. Defeat downy mildew, Phytophthora and Pythium and fight resistance development for ornamental production with the novel mode of action of Adorn Fungicide. Adorn brings maximum control of diseases, without resistance issues. All with low use rates, too. It works as it should. It's very effective and doesn't require a lot of solution to be mixed in. I can use this over a long period of time.